Just about anyone living in the Bay Area today, and old enough to read, knows the history of San Francisco ’s Haight-Ashbury area. Not many people know of Milton Reed’s Haight-Ashbury ; at least not yet. Reed is the main character in T. Mike Walker’s book, Respect, Hippy High School in the Summer of Love. The novel is an amalgamation of Walker ’s own experience as a high school teacher in the Haight during that time and an artist who sold his mixed media montage art pieces at the Psychedelic Shop on Haight Street and at the 1st Acid Test with Ken Kesey and Bill Graham at Longshoreman’s Hall in North Beach . 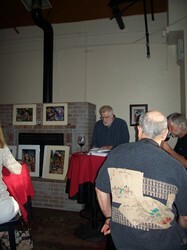 At the July 21 Pizza & Prose Art and Literature Series, Walker took a rapt audience through his character’s first hand experience of 1960s’ student protests complete with police beatings, acid trips, a sexual revolution, and travels in the quintessential car of that era - a VW Bug. Walker takes the reader beyond the headlines of the day, into Kezar Stadium, Harbin HotSprings Retreat, and to the top of Twin Peaks in San Francisco where that VW bug finally breaks down. In this fictionalized account of those tumultuous times Walker lived through, is also a love story, the theme of the second book Walker read from the same evening. 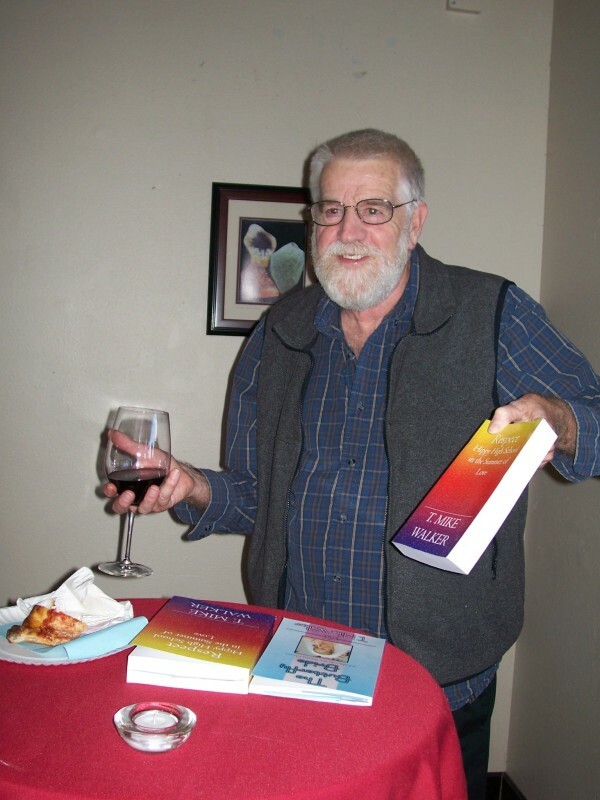 Reading from The Butterfly Bride and Other Tales of a Traveling Minister, Walker revealed the stories behind some of the weddings he officiated over during his thirty years as a Universal Life Church minister. In his book, Walker simply and beautifully describes the symbolism behind many wedding traditions. He offers sample vows and explains how “wedding receptions are the most intimate parties in town.” There are classic quotes and inspiring poems by Lord Byron and Pablo Neruda, among others, also included. 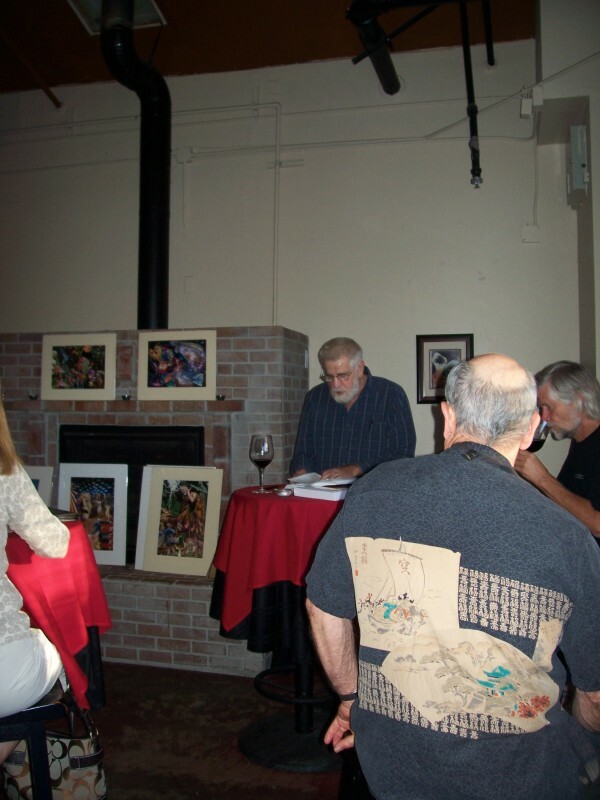 In addition to his engaging presentation, the clearly entertained audience was also treated to a showing of some of Walker ’s mixed media montage art pieces that he started creating in the 1960’s. To view these and for more information on Walker ’s work, visit his website at www.tmikewalker.com or send an e-mail to tmike@tmikewalker.com. 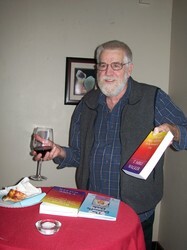 His books are available through www.amazon.com. And to find out how his ministry began visit http://www.ralph-abraham.org/1960s/walker/Church.pdf for that interesting little tale.